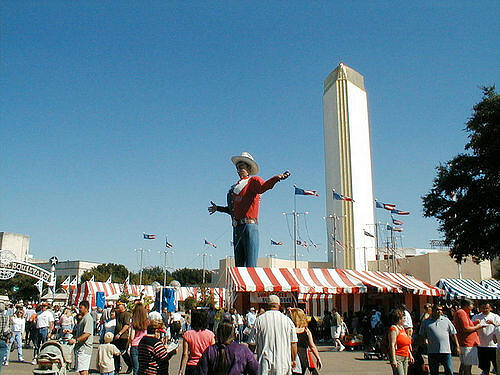 The State Fair of Texas has long been a tradition in this great state. Attracting millions of people each year, the car shows, food, games and other exhibits are fun and exciting for all ages. But the State Fair can also put a huge dent in your budget if you’re not careful. With general admission tickets at $18 at the gate, you could be shelling out a lot of money before you even get inside. 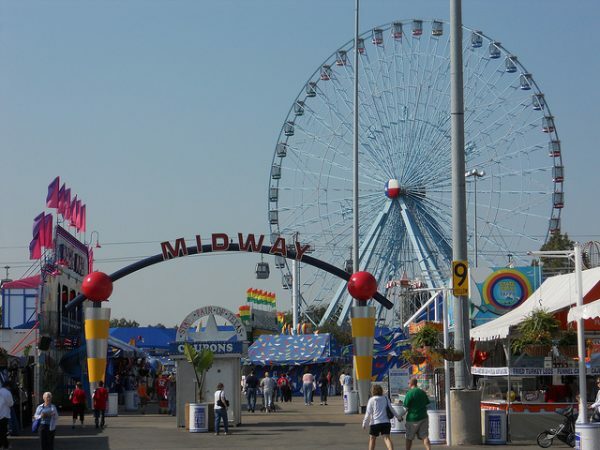 DFW Living on the Cheap crunched the numbers and came up with not one, but two ways to enjoy the State Fair of Texas for under $80 for a family of four while still getting to enjoy the classic state fair food and midway rides. 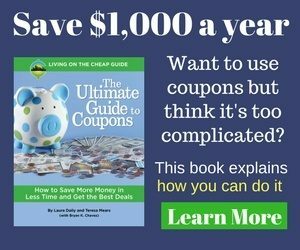 There are other ways to save too (free auto show anyone? ), but this gets you the most bang for your buck. Tuesday is your day to go. Any Tuesday of the Fair – Oct. 3, 10 and 17, 2017, admission tickets are only $6 for all ages with an empty Dr. Pepper can. Most Midway rides are REDUCED price on Tuesdays so $56 will buy you 112 coupons to use on all sorts of rides, from the Carousel to the Log Flume. Thursday is the day to go. Any Thursday of the Fair – Oct. 5, 12 or 19, 2017, tickets are only $7 for all ages with a 20 oz. Bottle of any Coke product (can be empty). 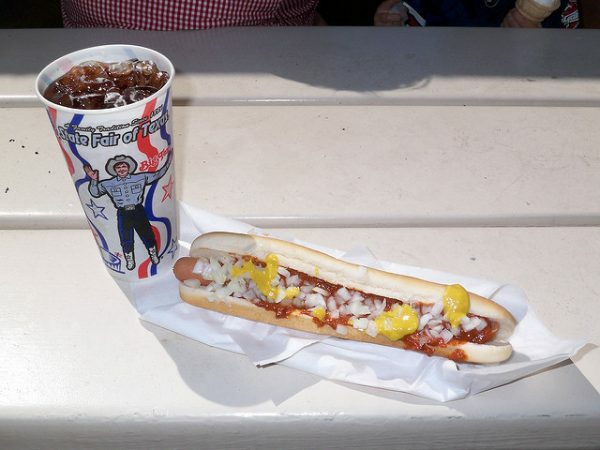 Enjoy the tastes of the Fair with $50 worth of coupons (it’ll be 100 coupons). Thursdays are also Thrifty Thursdays. Thrifty Thursdays are held every Thursday of the State Fair and offer fairgoers a special discount at participating food vendors. Check out the coupon prices at these participating vendors. That’s 45 coupons left for the Midway rides. 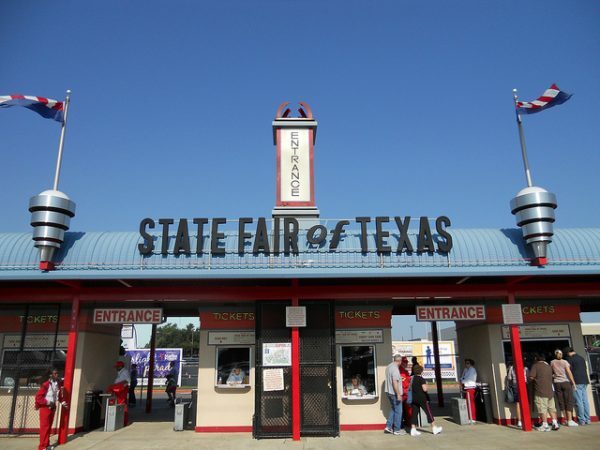 These rides run between 10 – 12 coupons each, so one family ride and you have done the State Fair of Texas for under $80. Bring a cooler – coolers with personal food and beverages are ALLOWED at the Fair. Stock up on water, Gatorade and even sandwiches and snack foods. Ride the DART – parking is expensive and you’ll likely be parking far out. With frequent departure times catering to Fair goers, you’ll easily find a time that works for you. Take advantage of the FREE admission tickets students often get at school. That will save you from $12 – $14 depending on which option you go with. Did you enjoy these money-saving tips? Sign up on our email list and get them sent right to your inbox.